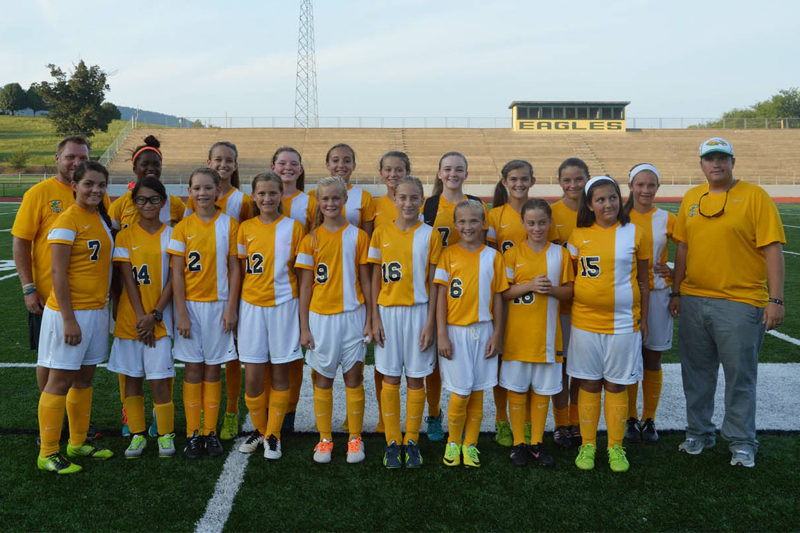 Evensville, TN – The Rhea Middle Soccer team beat Cleveland 3-1 at home on Tuesday. Jacelyn Stone scored 2 goals and Hannah Deakins scored the other to power the offense. Rhea Middle has gone 2-0-1 over the last three games and is playing better. Leading the way on offense are Hannah Deakins and Jacelyn Stone. Together they have accounted for nine goals in the last three games. With their recent success the Lady Eagles are now 2 3 2 for the season and improving. The Lady Eagles take on Ocoee today at 5:30 pm at Ocoee Middle School.